You know what we love? Pound cake with little surprises baked inside! Yep - cute little edible finds, like hearts and shamrocks, can hide right inside your pound cake. It is fun and easy to do and the kiddos are always amazed - quite a few adults are impressed too. 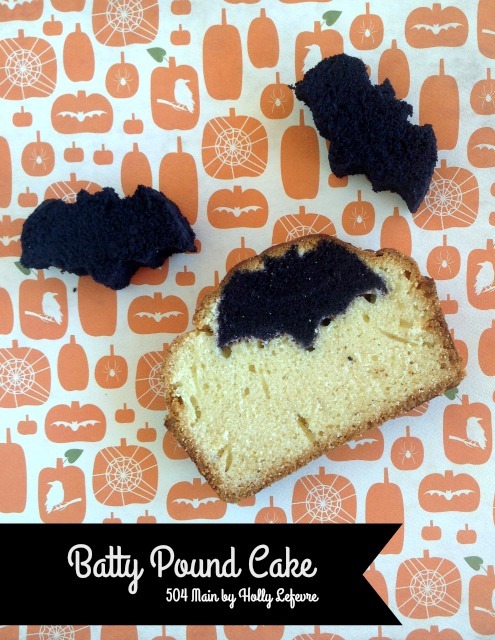 So, I decided to try my hand a quick Halloween version of the surprise inside pound cake. This time I used bats! I'll be 100% honest. Simple shapes like the heart seem to work much better than complicated shapes, but I couldn't resist trying the bat, and while it is not 100% perfect, the kiddos I gave it to loved it! 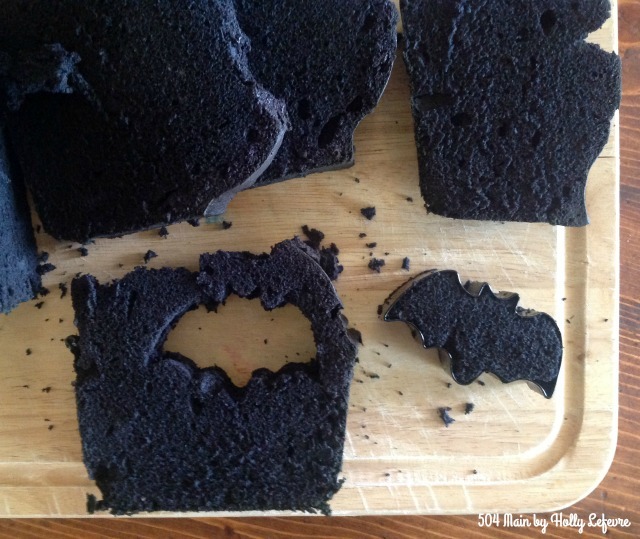 I even tried the combination with orange cake and black bats. It was cute, but all that food coloring does not always agree with everyone. 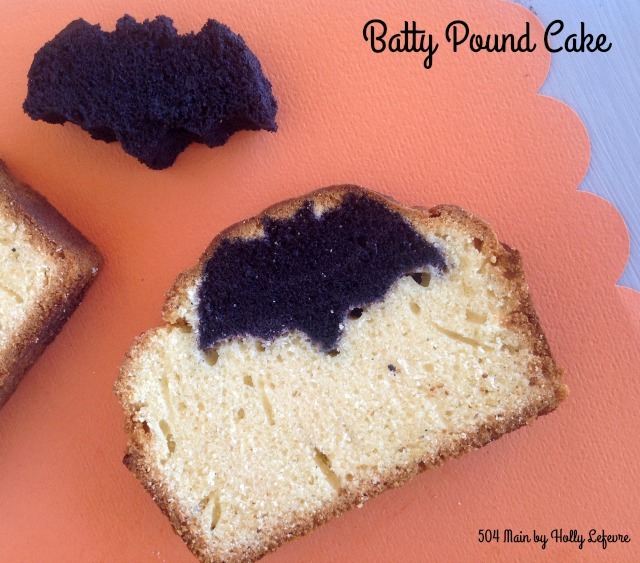 I decided to make the bats black and let the original pound cake stand as is! NOTE: After much trial and error with other mixes and even making my own, I have found this mix yields the best results. 1 SMALL (about 2"-2.5" wide and 1 1/2" tall) bat cookie cutter. I am not sure where mine came from. Here's an amazon page with some cookie cutters. Definitely try the baking aisle at a craft or kitchen store first! Set aside about 4 hours to complete this cake. It is complicated but it take over an hour to bake the first cake, plus cooling time, and another hour+ to bake the final cake. Mix one box of Pound Cake according to package directions (2 eggs, 1/2 cup butter, 2/3 cup water). I used the Wilton Cake Icing because the color is smoother and more consistent. I got mine in the baking aisle of Michaels. Bake for one hour at 350F. Check you cake. Remove from oven and let cool thoroughly. Once cool, cut the bread into 3/4"-1" slices. 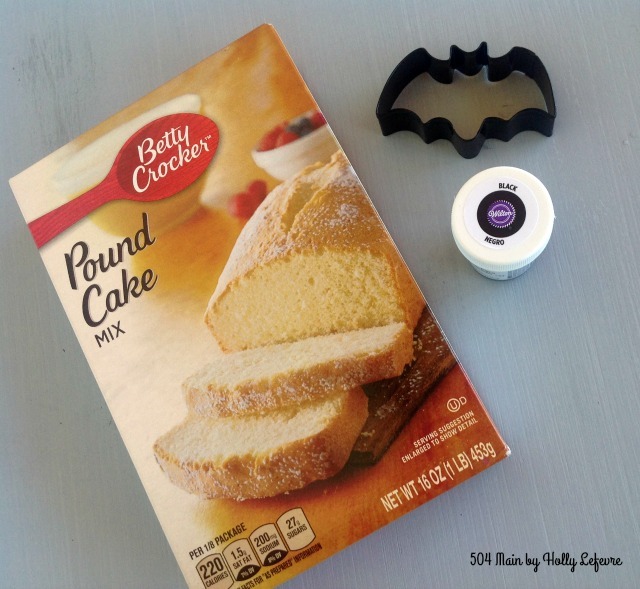 Use the cookie cutter to cut bats out of the black cake. Mix according to package directions. Add the orange food coloring and mix thoroughly. Place about 1 1/2 cups of batter in the bottom of the loaf pan. You want the batter to be about 1" "deep" in the pan. Now we will place the bats. Begin about 1/2" from the end of the loaf pan. Place a line of bats down the center of the pan, the bats will rest in the batter. Be sure to keep 1/2" or so on the ends, so that there is room for batter to encase the (pre-baked) bats all around. Once all the bats are placed, spoon the remaining batter all around the hearts and on top. Make sure you cannot see any of the bats. Bake for 60 minutes; remove from oven; let cool. I happen to think these are adorable! They may not be perfect...but the kids love them! 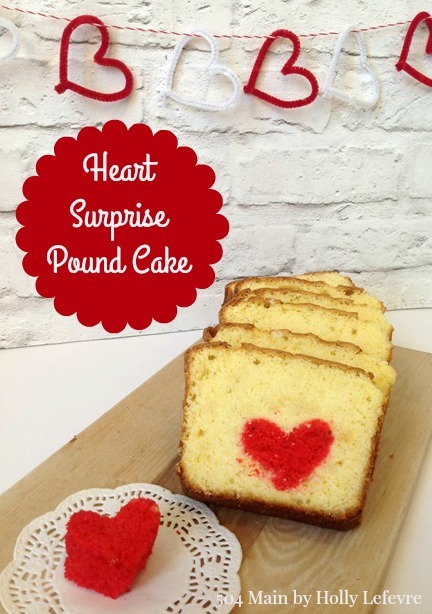 If you like this idea, be sure to visit my Heart Pound Cake tutorial! Do you have a favorite Halloween treat? 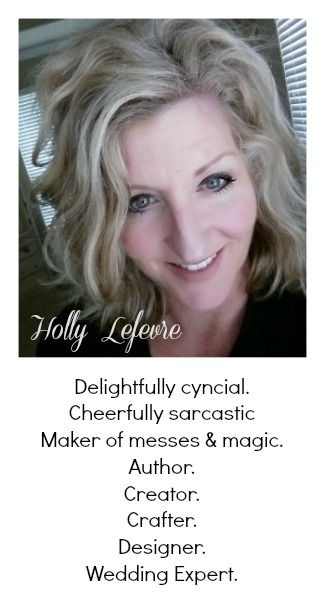 This post is written and created at 504 Main by Holly Lefevre These blog posts - tutorials and recipes and advice - are meant for inspiration. You must always keep your own skill level in mind when attempting a project. You should take proper safety precautions and wear proper safety equipment. Undertaking a project with my tutorials, suggested products or tools is at your own risk. 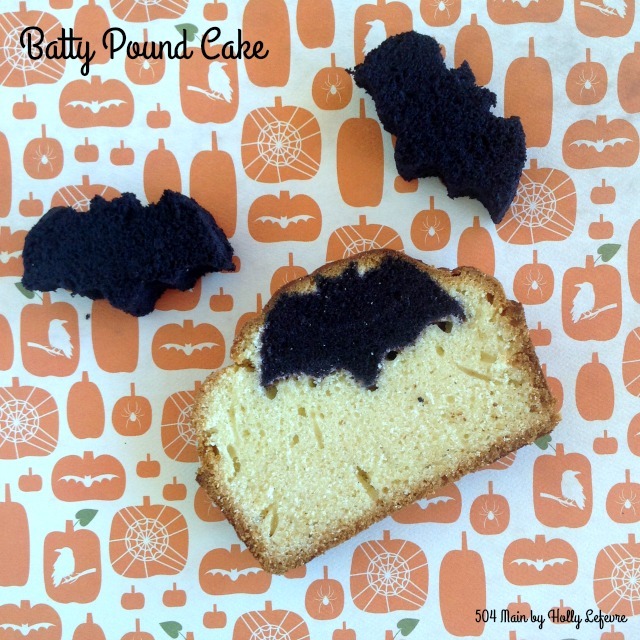 Batty Pound Cake. What a cute idea, Holly!